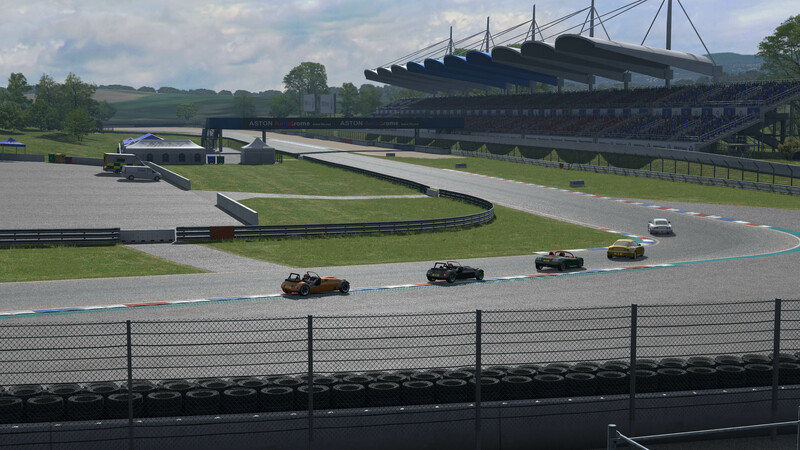 In the August and September progress reports we talked about the new shadows and lighting system and showed pictures of the updates on the Blackwood and Rockingham tracks. All our tracks must be updated to use the new lighting system and some older tracks need more changes to bring them up to date. Aston is one of them and is the subject of this month's report. Eric has made various adjustments to the track and tightened some of the bends while keeping the original flow. We hope you enjoy the pictures! NOTE: For comparison shots, Aston has been raised by 2 metres so 131072 must be subtracted from the Z coordinate. It is ... a complete new track, isn't it ? Last edited by Flotch, Sat, 27 Oct 2018 13:30 . Wow, incredible details! Thank you so much for the teasers and reports you've been posting! if I was already very passionate about Live For Speed so now I'm going to get more !! Well,you can't get everything I guess. Still curious about the new roads around track,will be interesting exploration and new course creation I hope. This looks like a dream coming true. I'm having fun guessing what will be the version number of the release. At least 0.7, or even greater? Quote from Eclipsed : Still curious about the new roads around track,will be interesting exploration and new course creation I hope. Aston hasn't gained a Westhill style open config, so there aren't roads to explore around the track. The only new road to drive on is the connecting track section in the screenshots. 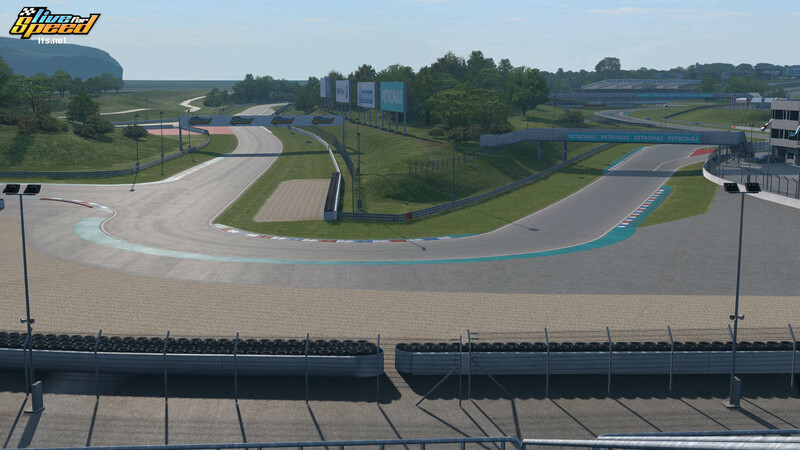 This is mainly an extensive graphical update with track width and corner tightness adjustments. I just saw this one: https://www.lfs.net/static/screenshots/ast201810/-12424841%207433073%201889323%20-945%201578%200.0%2047.4.jpg and hoped for few more roads around. Yeah I know what you mean, I see those roads too and wish I could drive on them. There are similar things at Blackwood. I don't know what the future holds for the external roads. I know Eric enjoyed doing that massive update at Westhill but it takes so long to do the main racing areas, there isn't really time at this point. 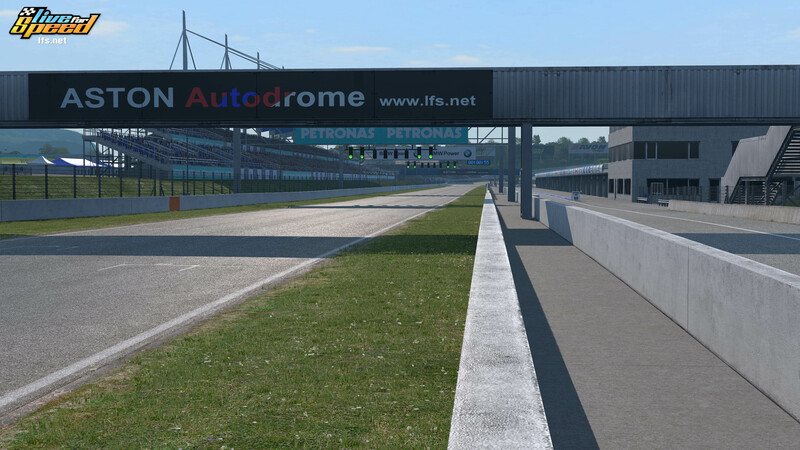 The trouble is all the tracks must be updated for us to be able to release the new graphical system at all. To do all the external roads can add months per track. I hope some tracks might get a sort of Westhill treatment one day but I'm guessing it might be more important to do some car models first and then it might be time to add a new track. I'm just making this up though and this sort of prediction is usually wrong! Such details! Make release it! Quote from Scawen : it's more important to do some car models first and then it might be time to add a new track. btw, i just love the update as much as the others but, the old layouts are going to work on this track? Some big changes there; I'm yet to find anything that hasn't been re-profiled! Last edited by Degats, Sat, 27 Oct 2018 18:23 . I'm planning to make a converter for old layouts, that simply adds two metres height when loading. Clearly that won't work everywhere but it should mean that old layouts can be repaired relatively easily. Quote from Scawen : Thanks for the comparisons! That'll be handy and will save many of us a heap of time! Scawen, are the /CP values correct for the second image? The camera seems to be in the right place, but pointing in the wrong direction. The other ones of that area seem to line up properly, but that one looks way off. Just wondering does Aston gets a 40 grid? Hmm... less sand around "eau rouge"... will result into more cuts on grass? It always had a 40 car grid no?